"Noam Chomsky, professor of linguistics at the Massachusetts Institute of Technology and one of the foremost critics of U.S. foreign policy. 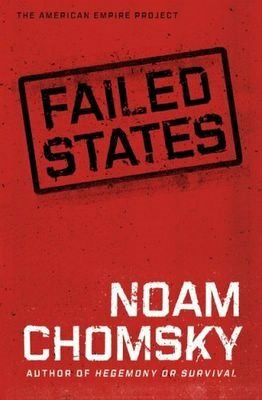 Professor Chomsky has just released a new book titled "Failed States: The Abuse of Power and the Assault on Democracy." It examines how the United States is beginning to resemble a failed state that cannot protect its citizens from violence and has a government that regards itself as beyond the reach of domestic or international law. In the book, Professor Noam Chomsky presents a series of solutions to help rescue the nation from turning into a failed state."